So if you follow me on #Insta, you would know that we went down to Brighton for a mini break & stayed in the same hotel stayed in over 5 years ago, the Brighton Metropolitan. 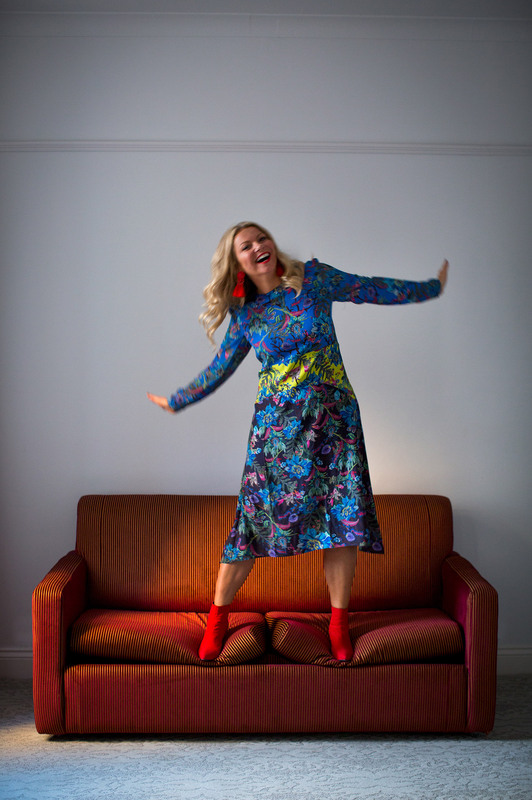 If you also follow me on #Insta you would also know that basically along with a night “Out Out’ watching Micky Flanagan (amazing) I basically shopped & then had the best fun trying on all of my haul whilst my partner Nick took some lovely snaps! H&M are literally on point with their dresses right now, in particularly their midi florals. I took a particular shine to the black & red number a few weeks ago, tried on in store, took the obligatory #chelfie (changing room selfie) and got over 144 likes so decided i had to go back & purchase. This black & red H&M number is gorgeous and only £49.99. As you can see, has a huge split up the side, so more evening than day however you could just pin the split & pair with some black opaque tights to hide your modesty. I’m wearing a size 12, which fits beautifully even if I do say so myself. To be fair Im still getting used to the stone I’ve lost recently (thanks Slimming World) but equally think that H&M are finally sizing their clothes better which is a great thing. Well done H&M!! 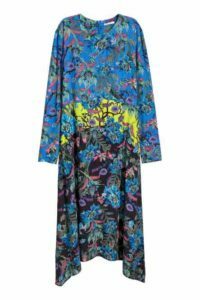 The 2nd blue flowery dress is also from H&M, £49.99 and again a size 12. This one however I didn’t feel quite so special in as it hangs loser around the waist & for the picks i actually pinned it at the back a little to give me more of a waste. I loved the colours though and could be dressed up with heels or perhaps go for a more boho look in the summer with some tan flat leather sandals.